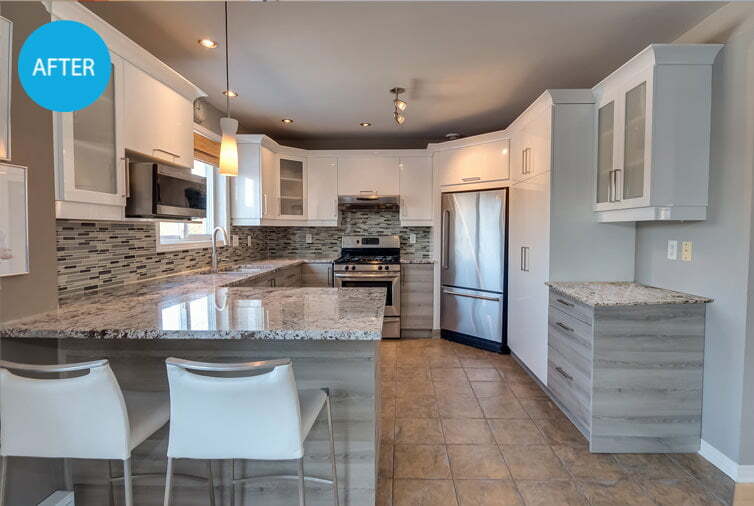 The Fréchette family in St-Basile-le-Grand wanted to rejuvenate their kitchen without changing the layout. To accomplish this, we removed the angled corner cabinet and desk and replaced the clear glass doors with frosted glass in order to achieve a more modern look. 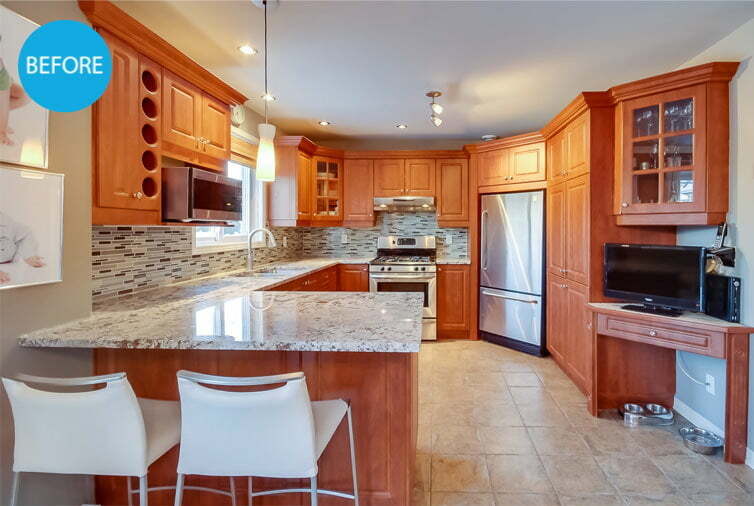 The original cabinets were in rather outdated orange melamine. 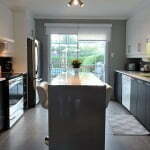 We transformed them, using glossy white in the upper cabinets and grey wood-grain in the lower ones. The results of the refacing work are fantastic! In addition to sending all of the debris of your old kitchen to a local écocentres, we are proud to contribute to the reforestation of our planet (particularly in Québec!) thanks to our partnership with Arbre-Évolution.